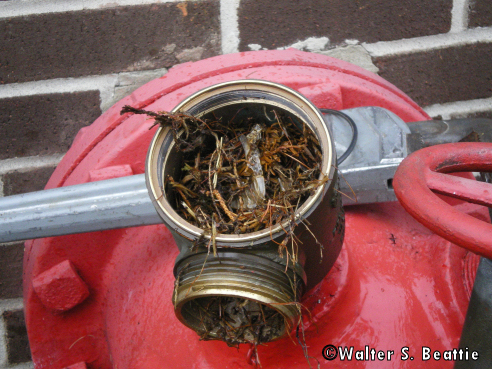 I recommend that the bottom valve of a hose header be left open just enough to drain water, but not open far enough for critters to make a home. This entry was posted on Wednesday, September 22nd, 2010 at 8:34 pm and is filed under Uncategorized. You can follow any responses to this entry through the RSS 2.0 feed. You can leave a response, or trackback from your own site.